deforestation activities going on in every corner of the world. This technology has been made possible by funding from the US, UK and Norwegian governments. This piece of technology is really cool because, despite the massive campaign and education on the effects of deforestation, there are still massive illegal (and even legal) tree felling activities going on. This kind of information and figures are really, really disturbing. Unfortunately, it does not look like we appreciate gross the situation is. This monitoring technology uses high-resolution satellite images from Nasa’s Landsat programme. In a way, it is all-inclusive, as it also relies on local communities, forest campaigners and recognized bodies to load data (information, videos and photographs) of deforestation activities from vulnerable forests around the world. 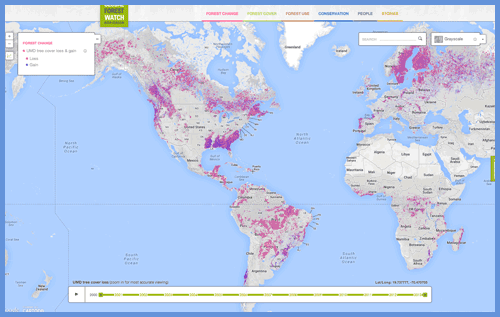 This tool will make it possible for the general public and law enforcement officers to identify which large industries are the culprits of deforestation, and which big brands have unsustainable natural resource activities. Next Post:Lead: What is it?